This is a popular 180-degree obstacle challenge, designed with smaller patrons in mind. 2 opponents compete through a series of squeeze plays, climbing walls, slides, and more. 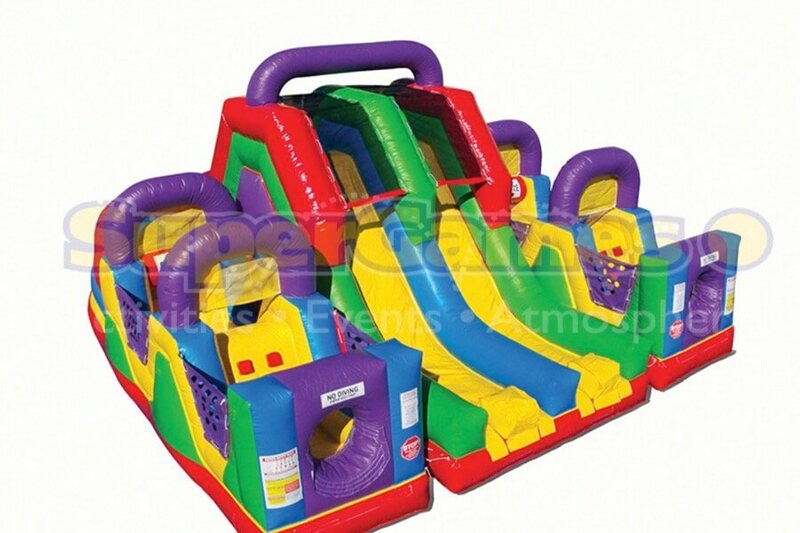 Great obstacle course for ages 3 and up!